I was reading through this thread last night by +Skerples and its filled with some amazing ideas! The thing is there's a ton of other great resources out there for monsters, here's a few. Basic Fantasy Field Guide: Need a few more monsters? You've come to the right place! This tome contains over 180 creatures for use with the Basic Fantasy Role-Playing Game. From ordinary animals to extradimensional intruders, this book contains something for almost any game! Petty Gods: Expanded Petty Gods Compendium provides Old School referees with a slew of new, weird minor deities and godlings, for use in rounding out their campaigns. Excellent wiki with blog post links. Some of the monsters that Zak is coming up with for Demon city could be very cool in an OSR game as well. The Midderlands OSR Bestiary & Setting: is an old-school game setting with bestiary for use with old-school role-playing games. It is based on Swords & Wizardry Complete, but could easily be used with other old-school systems and even non-OSR systems such as D&D or Pathfinder. Teratic Tome: Torn from the pages of the Books of Pandemonium, these horrific fiends -- including the grotesquely talented Curhadac, the sadistic Eremite, and the death-singing Acronical -- will test the mettle of any adventuring party. This book is excellent, I managed to grab a copy of the pdf when it first came out (I think it may have been pwyw at the time). 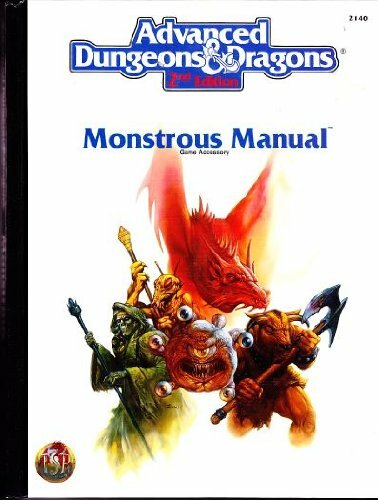 Swords & Wizardry Monstrosities: You can never have too many monsters, and this book is filled with them! No matter what kind of campaign, there are foes galore to stock its wildernesses and dungeons, even the unknown depths of its mysterious oceans. First Edition Monster Manual 1 & 2. Not So Free (Some might contain basic stats). Treatise of Twisted Terrors : It contains seventy new and re-envisioned monsters for your campaign. Swords & Wizardry Monster Book: The largest compilation ever of monsters for Swords & Wizardry/0e. Monsterarium: The boutique bestiary you didn't know you wanted! B/X Monster Reference: A handy index of over 500 B/X monsters. Essential stats are presented for each monster in a convenient table format. Monster Alphabet: What foul beasts slosh and gibber in the furthest reaches of your skull? Unleash your demons with the Monster Alphabet, a compilation of monster design elements keyed to letters of the alphabet. Amazing Adventures Manual Of Monsters: In the Amazing Adventures Manual of Monsters you will find scores of creatures both fantastic and benign, alien and supernatural, to challenge your adventurers. Old School Monster Classes: Have you ever wanted to try your hand at a more exotic option than dwarf or halfling? Monster Listing Labyrinth Lord: Back to the basics of fantasy role playing, with the OGL Labyrinth Lord fantasy role playing game! Can you survive the dangers of the labyrinth? Here is a good thread with a few links to Monster books.